A mix of clouds and sun. Slight chance of a rain shower. High 66F. Winds NNW at 10 to 20 mph..
Mrs. Betty Jane Stacy Arbour, age 80, a resident of De Queen, died Sunday, April 7, 2019, in Texarkana, Texas. She was born October 16, 1938, in Malvern. She was a homemaker and a Seventh Day Adventist. She was preceded in death by her parents, Revis and Neva Dyer Stacy; her husband, Dr. William Hunter Arbour and one sister, Joyce White. She is survived by one daughter, Toni Arbour of De Queen; three sons, Ray Arbour, Mark Arbour, and David Arbour, all of De Queen; one brother, Larry Stacy of Malvern; one sister, Anna Bell Blake of Oklahoma; two grandchildren, four great-grandchildren; and a number of nieces and nephews. 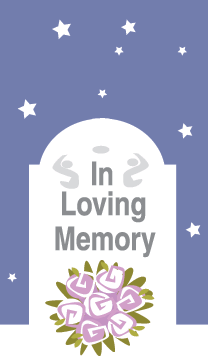 Graveside memorial services will be held at 11 a.m., Thursday, April 11, 2019, in the Beacon Hill Cemetery with Elder Duane Nash officiating, under the direction of Wilkerson Funeral Home in De Queen.